If you look at the ingredients of the vast majority of major brand dog foods sold in your local grocery store you will see most of them contain some type of corn such as cornmeal. Fact: dogs are meat eaters; even their teeth tell us this. They do not have grinding molars, they have ripping canines. Have you ever heard of a farmer having issues with dogs raiding their corn fields? No, what we might hear is a dog raiding the chicken coop for meat. Corn has been linked to many dog ailments such as allergies, joint swelling, bloat and there have been some cases of aflatoxin contamination associated with corn in dog food. The corn that is used in dog food is sometimes contaminated with mycotoxins (toxins from mold or fungi). Corn metabolizes in dogs similar to the way sugar metabolizes in humans. It's like feeding a child foods high in corn syrup. The dog is not going to be as healthy and may experience energy rushes, crashes, hyperactivity and a hard time concentrating. Studies have also shown that high doses of corn can inhibit serotonin in the brain. Serotonin is an important chemical that reduces stress and anxiety. A dog's body cannot process corn properly. It is difficult for them to digest it. Corn is a cheap filler, a starchy energy which serves little to no nutritional value. A lot of it comes out in their waste. All of this was brought to my attention when my very keen Pit Bull puppy started refusing to eat his food. After doing some research on the ingredients in his dog food it didn't take long to realize between the grains and the by-products, among other unhealthy ingredients, he was being asked to eat something that was not good for him. 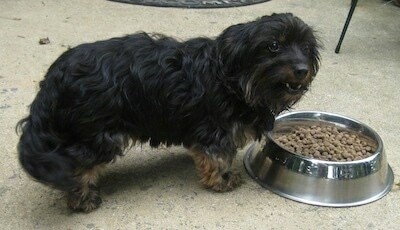 When I switched my dogs over from a corn-based dog food to a grain-free dog food I noticed that their poop was smaller. I quickly realized I had to start feeding them less food or they were going to gain weight. Their bodies were using what they were eating instead of pooping it out. So why is corn being put in their dog food? Back in the days of the Great Depression the first farm bill was passed. The Agricultural Act of 1938 mandated price supports for corn along with cotton, and wheat. To this day corn is still subsidized by the government. What that means is for every bushel of corn a farmer grows in America, the government pays the farmer with taxpayer money. A lot of corn farmers only make money from corn because there are a few different subsidies from the government they get for every bushel of corn they grow. So they grow more and more. It does not even have to be a good quality corn, just corn. They don't have to compete; they get money for whatever they grow, guaranteed. They don't even have to make it taste good or be good for you. They genetically modified it to be resistant to a pesticide, to grow tall and close together and to grow fast and starchy. It’s not the same type of corn the Indians used to grow that had more nutrition and protein. 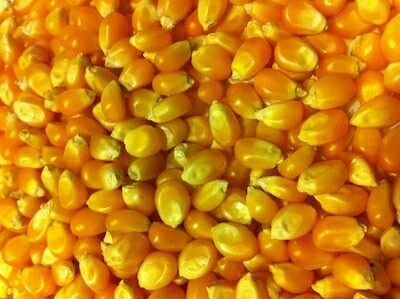 This corn is genetically modified. As a result America has an overabundance of corn. The government, along with some private industries, is always working on what they can use the corn for. It is put in a high percentage of human and animal foods in many different forms. It has been said that if you test a human hair you can find traces of corn produced carbon. This genetically modified corn is put in not only dog food but also cat food, horse feed, goat feed, chicken feed and even fed to cows. Since cows are grazers and should be eating grass they have a hard time processing the corn. They need to be given antibiotics to keep them from getting sick long enough for them to go to slaughter. As a result of the cows being fed corn the meat they produce has a higher fat content than it would if the cows were fed grass. Corn-fed cows produce meat that is higher in the bad fatty acids and lower in the good fatty acids. Whereas grass-fed cows produce the opposite effect. Grass fed is higher in the good fats and lower in the bad fats. E. coli (Escherichia coli) live in the stomachs of corn-fed cows as the corn diet makes the cows’ digestive track more acidic. Whereas the digestive track of a grass-fed cow is not acidic enough for E. coli to live. Some owners claim their dogs are sensitive to beef, chicken and turkey. In reality it is not the animal itself the dog is having a reaction to, but the corn the animals were fed prior to slaughter. Although feeding a dog or cat an animal that grew up eating corn is not nearly as bad as feeding them corn directly, most cats and dogs can handle it. Corn has also been linked to colic in horses.Corn is even being made into ethanol and put into gas for cars. Ethanol is not as fuel efficient as gasoline and has been known to be bad for engines and other equipment. Since there is a high tariff on cane sugar, making it artificially more expensive, almost everything that is sweetened has corn syrup or high fructose corn syrup in it, including things like bread and yogurt. The list of things that contain high fructose corn syrup (HFCS) is overwhelming, even some dog foods and dog treats contain corn syrup. High fructose corn syrup has been linked to the rise in obesity and diabetes in the United States. Our bodies do not process HFCS the same way we process cane sugar. Fructose consumption does not cause an insulin response. Since HFCS is in just about everything we eat this can be a huge problem. 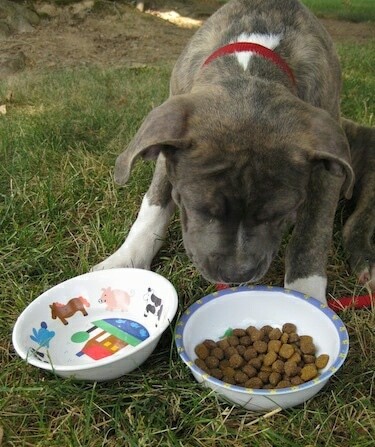 Large dog food companies will go to veterinarian schools to offer their services. Some vet students claim they have given them free samples, supplied food for their own pets, gave them large discounts, bought them notebooks, doughnuts, breakfast, text books, gave them jobs and even taught their nutrition classes. All to influence the young vet students that corn, by-products and other junk ingredients are OK for your pet to eat. When the vet opens up their own practice they offer the vet the chance to sell their foods, providing them with lots of free samples and literature to give out to their patients along with a rep that will answer any nutrition questions people might have. People see the foods inside the vet’s office and assume it must be good. These same companies put out articles claiming that corn and other junk ingredients are actually good for your pet. There are many great grain-free brands of dog and cat food to choose from, but unfortunately you usually must go to a pet or feed store to buy them as they are rarely found in the average grocery store in the USA. What's in your dog's food? Rendered Products in Dog Food: What's your dog really eating? Dogs are primarily meat eaters. 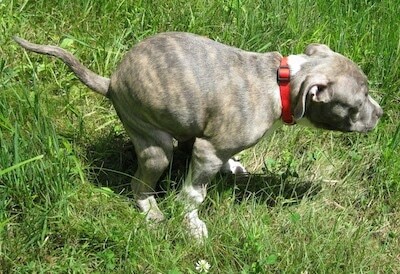 A lot of dog food brands spray animal fat on the food to make it tasty so the dog will eat it. Where's the meat? Instead of meat you get sprayed on animal fat on top of cheap grains. When is the last time you read the ingredients on the type of food that you feed your dog?